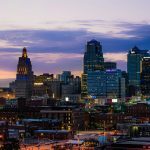 Kansas City is a thriving metropolis located in the North East corner of Kansas at the confluence of the Kansas and Missouri rivers, which no doubt played a role in its present day success. There is a lot to love about this beautiful city: the emerging architecture on the seemingly never ending skyline, the copious parks and the wonderful people all make Kansas City a great place to live and call home. As the city grows and changes and more people move here to raise their families, the urban landscape is changing and both homes and businesses are being built at a frantic pace to accommodate newcomers. While life is arguably pretty good here in KC, MO there are challenges that homeowners and commercial business owners face related to some of the extreme weather patterns we see here in Kansas: high-winds, tornados, extreme sun exposure to name a few. As one of the area’s window film installers we are well acquainted with these issue stemming from some of the most intense weather patterns in the country and can help you, your family and business live a better life in our great city. While we can’t change the weather we can give you the window film and tint tools to help mitigate some of the disruptions and even damage it does in your day to day life. Kansas City is full of beautiful homes and people who love putting in the work to keep them that way. That’s why window tint is the key to successful home ownership in the Kansas City area. Window tint provides a variety of benefits for homes, especially in Kansas City, where the sun is hot and tornados are imminent. Solar films, for instance, keep the sun’s glare out of your home while protecting the valuables you have worked so hard to acquire from fading beneath the intense UV exposure of the prairie sun. An added benefit of window film for your Kansas City home is the privacy benefits. While there is perfect clarity for you gazing out, it darkens the interior to those looking in, giving you an additional layer of security and seclusion for your home. Whether you’re looking to add privacy to your country manor in Brookside or improve energy efficiency in your high-rise condo in Crossroads, we have the residential window film solution for you! 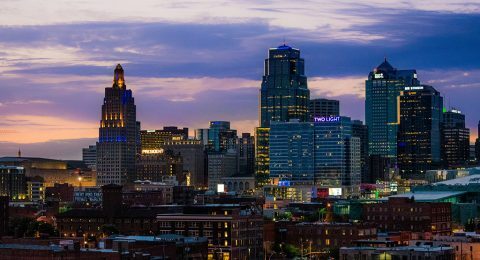 Kansas City is a great place to own a business, make a good living wage, and take care of your family. Commercial ownership here is on the rise as well and if you own commercial property or are thinking about buying, window film should be one of your first investments. Energy efficiency window tinting saves you the money on utility bills and saves you the expense of costly HVAC repairs. And while KC is becoming safer every day, security window film, which is shatterproof, is needed to protect your investment and your tenants from burglary, natural disasters, and even graffiti attacks. With comprehensive, versatile benefits, your business can really take advantage of this great ROI. Whether you have a coffee shop in River Market or a multi-level office building in West Plaza, GreenLight has the perfect commercial window film solution for you! A short description of the video goes here. Solar control window film offers great energy efficiency benefits for both residential and commercial properties in Kansas City. Solar rejection leads to a more consistent, comfortable internal environment, meaning better home comfortability as well as heightened tenant retention, improved employee productivity, and lower energy costs year round. Protect your Kansas City home or business with UV protection window film. UV blocking film is equivalent to SPF 1000 for your property. 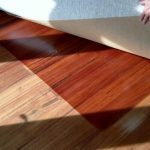 Overexposure to UV rays leads to fading floors, discolored furniture and upholstery, distorted art, shortened product life, warped display merchandise, signs of premature aging, as well as significant eye and skin disease. Defend against a multitude of threats with safety and security window film. Kansas City homes and businesses can be protected from natural disasters, explosions, attacks, burglaries, and freak accidents with safety and security film. Security film mitigates broken glass and flying debris hazards, one of the main causes of significant injury and blast-related deaths. Cleanup after an event also made easier, meaning no downtime for your business or residence. Add beautiful, highly customizable decorative elements to your existing space. Create privacy in residential bathrooms or commercial conference rooms with decorative privacy film. Decorative film offers endless design options enabling Kansas City residents the opportunity to transform their homes or add brand visualization to their businesses. Privacy decorative film is perfect for Kansas City conference rooms, collaborative workspaces, and much more. Improve employee comfort and productivity with privacy window film. Daylight redirecting film is great for offices as well providing a plethora of benefits including improved productivity, lowered absentee rates, and lowered lighting costs. 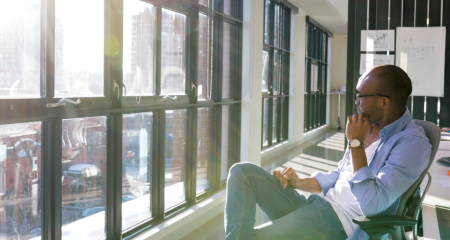 Energy efficient window film helps maintain consistent temperatures within your office while also helping lower energy costs all year-round. And decorative films are perfect for adding stylistic decor and privacy. Window film is a comprehensive solution for all types of office buildings. Energy efficient window film helps lower the bottom line for running costs while improving guest experience. Save money while ensuring your guests are comfortable. 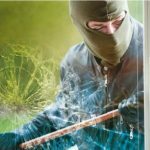 Safety and security window film is always a great investment to protect your guests, staff, and valuables. Security film protects your Kansas City hotel or motel from a multitude of different threats. Decorative film can be utilized for visual marketing applications from guest mirrors to the exterior of your hotel. Kansas City hospitals and healthcare buildings can fully utilize daylight redirecting window film for its numerous benefits. Decrease patient recovery times, increase staff productivity, and lower overall lighting costs. Decorative film is great for boosting morale in kids areas, ICUs, cafeterias, and much more. Security film is always a necessity for hospitals and healthcare buildings– protect your patients and employees from unknown threats. UV blocking window film is vital for protecting display products and merchandise in your Kansas City retail space or storefront. Defend valuables from permanent sun damage with UV blocking window film. Decorative film is great for showcasing upcoming events, regional promotions, and much more. Perfect for long-term and short-term promotions, decorative film is highly customizable and versatile. Glare reduction film is necessary for any retail spaces where customers interact with screen viewing activities– optimize buyer experience and employee comfort. Privacy window tinting is great for Kansas City restaurants, bars, and clubs– make sure your guests have the ability to relax and focus on their experience rather than privacy concerns. Security film is always perfect for these commercial properties, defending building occupants from natural disasters, break-ins, burglaries, and much more. Decorative film can be utilized for brand visibility, specials, upcoming events, and any creative way to promote your business. From exterior building wraps to interior decorative films, we’ve got you covered. Decorative films are very customizable and popular among Kansas City arenas and stadiums. Security film is a great investment for these types of properties since they’re sadly often the target of domestic and terrorist attacks. Energy efficient film can help property owners significantly lower costs while ensuring a comfortable environment for performers and guests. Kansas City schools and universities can improve safety with security film. Protect your students and teachers from a wide range of threats and attacks with security film. Daylight redirecting film has been proven to improve student test scores, lower absentee rates, and lower lighting costs. Privacy film provides another layer of protection so that assailants can’t see the students or case the campus. UV blocking window film is pertinent for protecting art, investments, and other costly items within your Kansas City museums, art galleries, and libraries. UV blocking window film stops harmful UV rays from causing irreversible damage to your valuables. Decorative film can be utilized for creative curation, as part of art exhibits, to promote upcoming events, and much more. Security film is necessary for deterring smash-and-grab robberies and defending building occupants from burglaries, break-ins, and more. Security film provides dual protection in Kansas City jails and prisons– protect prisoners and staff from unknown threats while deterring any escapes. Daylight redirecting film can help jails and prisons save on lighting costs while boosting prisoner morale. Energy efficient window film is a great ROI, helping lower energy costs during summer and winter months. Anti-graffiti film is an effective, affordable solution for vandalism-prone areas within any Kansas City mass transit system. This durable, sacrificial surface film is vital for lowering repair and replacement costs. Decorative film provides infinite opportunities for paid sponsorships, upcoming event promotions, and much more. Security film is a great way to provide comprehensive protection to your mass transit system. In a progressive neighborhood like Parkville, energy efficient window film is all the rage! 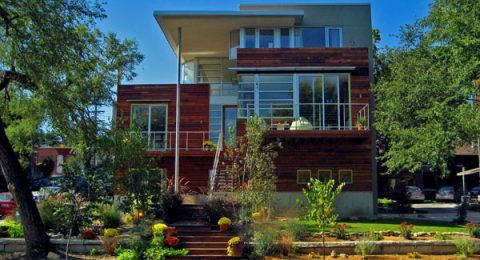 This film lowers the residents demand for energy, making these homes less dependent on fossil fuels. Although this is fantastic for the environment (which the typical Parkville resident just loves) it also saves homeowners here a ton of money each year. In fact, on average homes with energy efficient window film applied to is save about 20%-30% on their annual utility cost and savings is something people in any neighborhood can get on board with! The homes in the River Market neighborhood of Kansas City are absolutely fabulous and as beautiful as they are on the outside they are just as lovely within. These homes are lavish and just full of windows which is great for letting in natural light but just horrible for expensive furnishings. Window film that blocks 99.9% of damaging UV rays thereby preventing fading of rugs, drapes, upholstery, wood floors and artwork is exactly what the homeowners in the River Market neighborhood are looking for and love on their homes. In downtown Kansas city, your neighbors are about as close as it gets. Like in any big city, here in Kansas City privacy is at a premium. 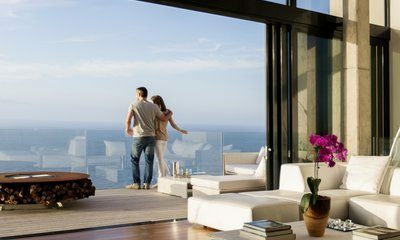 So to deal with the constantly increasing density here, home, townhouse and condo owners are looking for and have found a solution to privacy issues in window film. Window film effectively blocks the view of your home from the outside in while allowing for perfect clarity from inside, so in Downtown KC, residents can enjoy the downtown views they love! Green Light Window FIlms is proud to serve the greater Kansas City metro area inclueding: Independence, Overland Park, Olathe, Lawerence, and Lee Summit. For larger jobs we will travel throughout Kansas and Missouri. Providing the highest quality 3M, Eastman, and speciality window films.